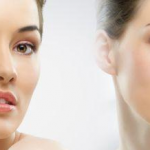 Laser hair removal is a procedure which removes hair from the body utilizing a long pulse laser. Laser hair removal lasers have been in use since 1997. The treatment is performed by a specially-trained laser specialist or a doctor (depending on the clinic and state regulations) by pointing the laser device at shaved skin. Laser heat disables follicles from producing hair. Hair grows in cycles. Since various hairs will enter their growth cycle at different times, about 6-8 treatments at intervals of 8-12 weeks are necessary to disable most of the follicles in a given area. Both men and women seek laser hair removal to remove unwanted hair. Hair removal is commonly done on underarm, pubic area, legs, abdomen, lip, chin, back, buttocks, thighs, face, neck, chest, arms, and toes. Laser technology works by targeting dark pigment. Therefore, it works best on pale skin and dark coarse hair. The lighter the skin and the darker and more coarse the hair, the better are the results. The best candidates are patients treating areas with dark coarse dense hair growth. What makes a LaserLight hair removal treatment safe and comfortable? We use a patented Advanced Contact Cooling System™ to protect your outer skin during a laser hair removal treatment. The laser’s light emerges through a sapphire crystal window that is pressed against your skin, to instantly remove the heat that gives you a little “pinch” feeling as the laser pulses. Our equipment also emits a patented smooth pulse of light, which delivers a continuous energy level without characteristic spikes in energy that in some of the other lasers cause a sharp sting. You experience minimum discomfort during a LaserLight treatment, and many of our clients report that the sensation is much more comfortable than waxing, electrolysis, or even tweezing! Which Type of Hair Removal Laser will Work for Me? Currently, there are three popular types of hair removal lasers made by various manufacturers: Alexandrite, Diode, and Nd:YAG. Intense Pulse Light systems (IPLs) are also used for hair removal. In order to determine the best device to use, patients need to figure out their skin type using the Fitzpatrick Skin Chart*. In 1975, Thomas B Fitzpatrick, MD, PhD, of Harvard Medical School, developed a classification system for skin typing. This system was based on a person’s response to sun exposure in terms of the degree of burning and tanning the individual experienced. TYPE II: Very sun sensitive, burns easily, tans minimally. TYPE III: Sun sensitive skin, sometimes burns, slowly tans to light brown. TYPE IV: Minimally sun sensitive, burns minimally, always tans to moderate brown. TYPE V: Sun-insensitive skin, rarely burns, tans well. TYPE VI: Sun-insensitive, never burns, deeply pigmented. *ND:YAG lasers were specifically created to cater to dark-skinned patients. This is the only type of laser that should be used on skin types V and darker. Using any other types of lasers on this type of skin can result in burns if they are used at settings that disable the hair permanently. How Many Laser Treatments will I Need and How Far Apart are They Scheduled? Most patients need at least 6-8 effective treatments spaced 8-12 weeks apart. Because hair grows in cycles, several sessions are necessary in order to affect all hair on any given area. Due to length of hair growth cycles, treatments are usually needed once every 8-12 weeks. Hair cycle length varies depending on body part. Face usually requires more frequent treatments (about 8 weeks apart) whereas legs and back need less frequent treatments (closer to 12 weeks apart). Shedding of all treated hair should be expected within 3 weeks of each treatment. The hair that doesn’t shed and is growing as usual after 3 weeks has likely been either missed or not affected due to inappropriate settings. If this is the case, a touchup treatment is necessary at that time. All 6-8 treatments should be good effective treatments in order to achieve good results. Once the hair sheds, patients should experience a hair-free period for several weeks. Once new hair comes in again, patients should come in for their next session. Very great article and I really love your blog.I wanted to thank you for this great read.